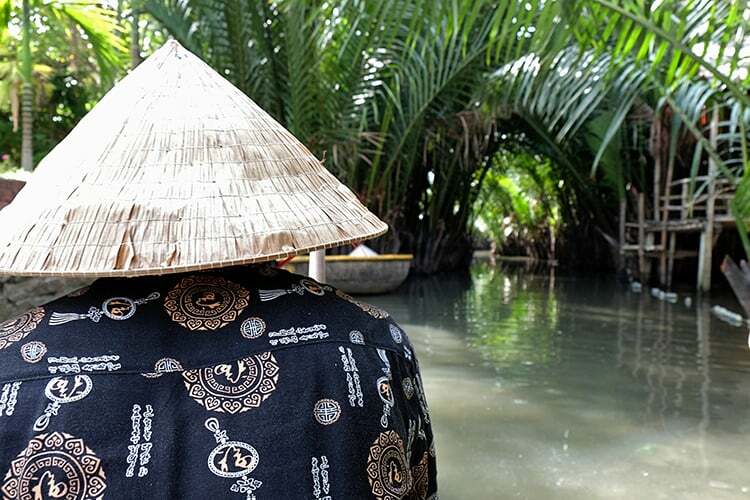 Are you looking for the best Hoi An basket boat tour, that is a bit more private and not overcrowded? 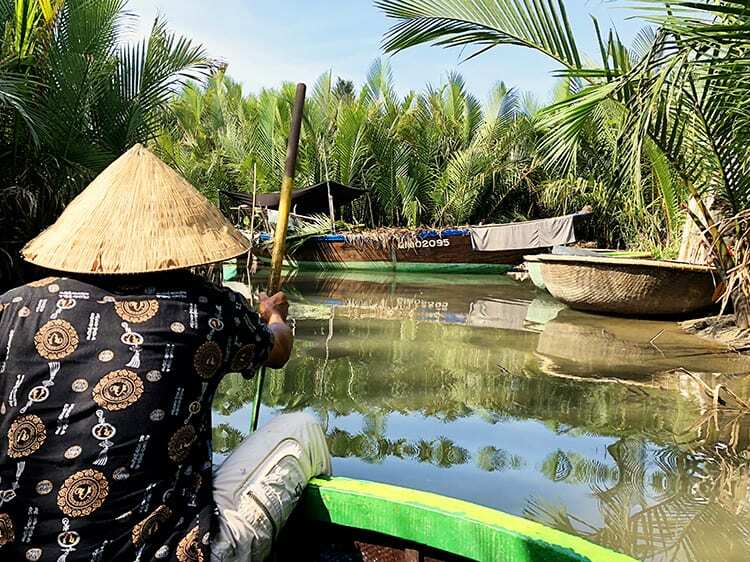 Then, this is the best Hoi An boat ride that you can find! 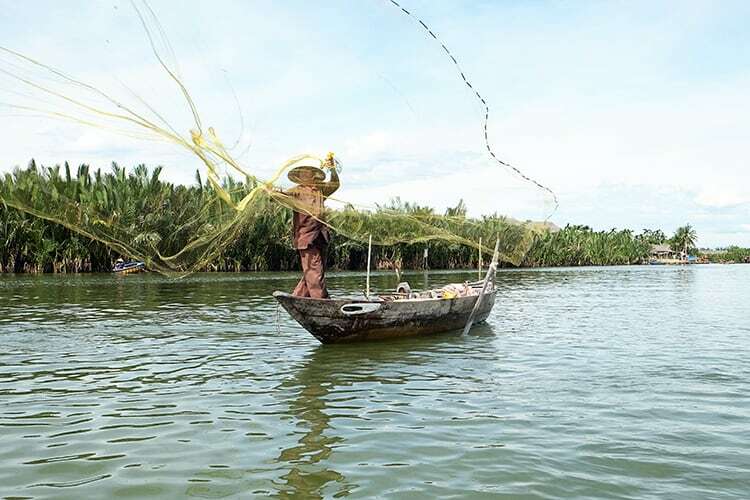 What better way to check out Hoi An's surrounding villages, and to experience the way that the fishing culture in Vietnam used to look like, then by taking a traditional basket boat ride? Well, our boat tour was a real experience, but I'm not so sure was in any way traditional and cultural. Keep reading to find out more about our adventure. 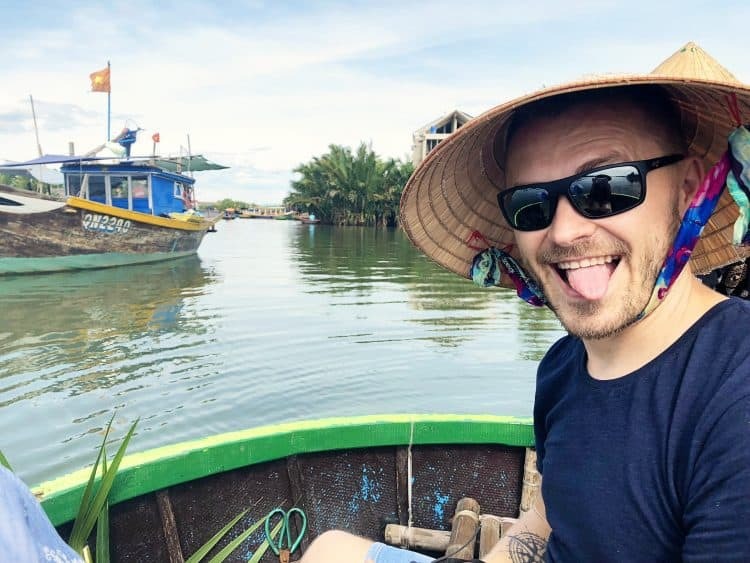 Here is a detailed review of the best Hoi An basket boat tour, including how to get there, what to look out for and how much it costs. Here is a video to give you an honest look at what you might expect on your basket boat tour. 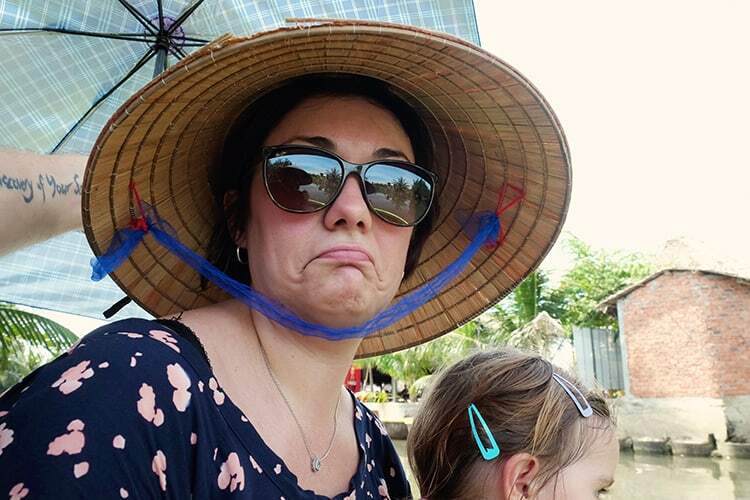 Finding the right type of Hoi An boat tour can be tricky. There are plenty of them around and all seem to be better than the other. 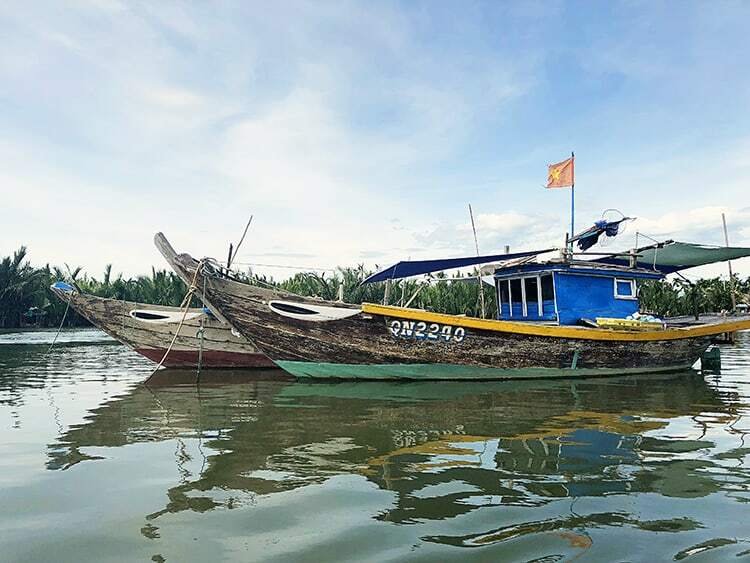 However, we followed the advice of a trusted local's recommendation to go with Phap Tran Boat Tour and we are glad that we did! 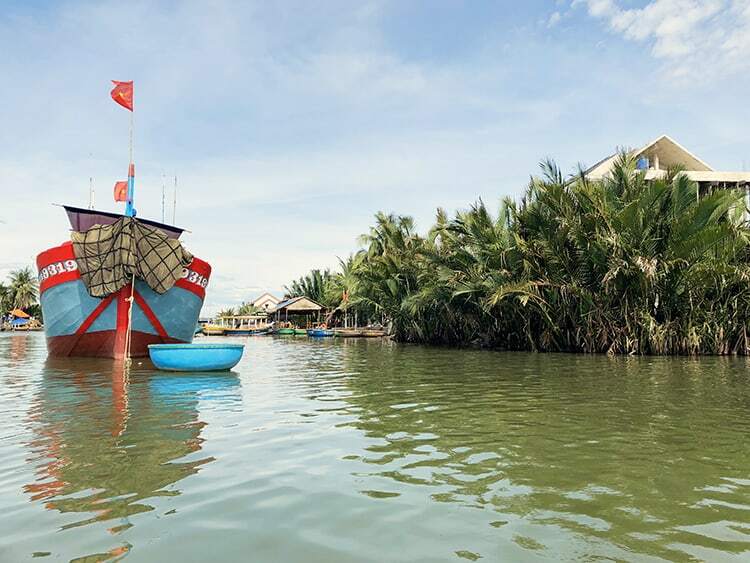 Phap Tran Hoi An basket boat tour starts at Thon Van Lang – Cam Thanh – Hoi An, which is located approximately three-quarters of the way from Hoi An Ancient Town to Cua Dai Beach. When driving a car or riding a scooter from the Ancient Town, it will take you only 10 minutes. This place is a little tricky to get to, but don't worry here. The locals are very friendly and you can easily ask them to point you in the right direction. 1. 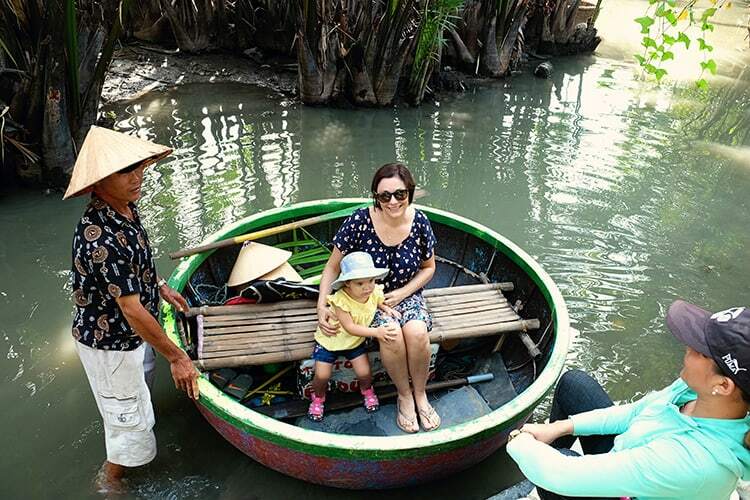 How Much is a Hoi An Basket Boat Ride? Depending on the tour company and the size of the group, the prices for the tour or per person can vary. 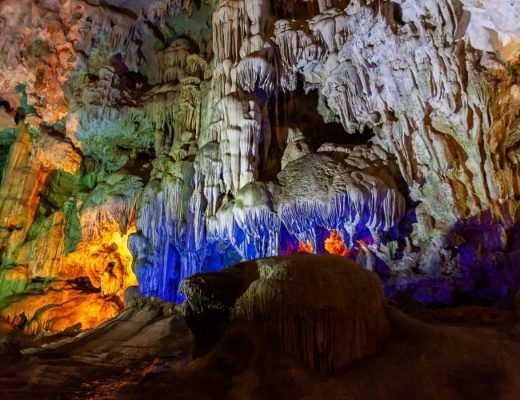 As this is Vietnam, you can easily bargain the price with the tour guide. This of course means, that I cannot give you an exact price. All I can tell you is, that we paid $28 AUD for two adults, including our 2-year-old daughter. 2. How Long is the Tour? The tour that we went on, took approximately 2 hours, which was more than enough time to check out the area, go down the narrow canals as well as the large river section and catch a good suntan. The main thing to look out for when choosing a tour is to investigate whether the tour will be more of a private basket boat experience or whether it is a large group-style tour. We chose the more peaceful option of a more private one. But, was it peaceful? Well, not really. 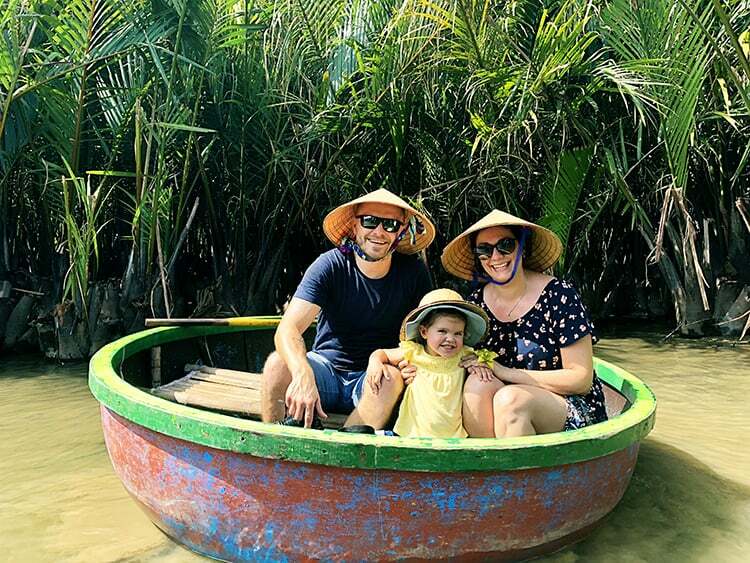 When we went on our Phap Tran Hoi An Basket Tour, we were the only little group of three on the boat tour at first. For a little while, as we navigated the narrow canals, the tour was quite peaceful and unique. However, as we went further out in into the river, we were met with dozens of other basket boats filled to the brim with tourists. And that is the point where the traditional and cultural experience came to an abrupt end for us! Here we were met with loud disco music, an organized performance by a local basket boat spinner, and a quick lesson on how to throw a fishing net. All of which was staged for the purpose of the large tour group. Although the sight of the “spinner” was entertaining, and the fishing net throw was quite fun, this tour was far from the cultural experience we were expecting. 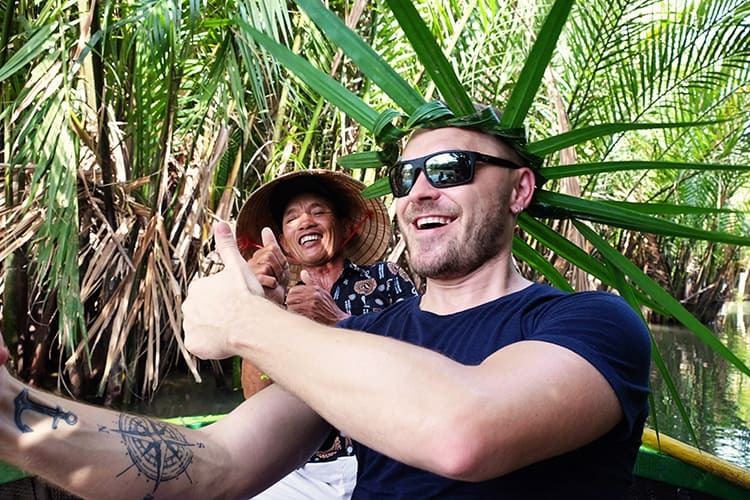 Regardless of which tour you choose from, large “disco tour” or the more private Hoi An Coconut Basket Tour like ours, you will be sitting in the same size boat. The basket boat that we were in, comfortably sat two of us, together with our daughter Avie (2 years old) and of course the basket boat captain. I believe that you can comfortably fit 3 adults on each boat, not including the captain. 5. 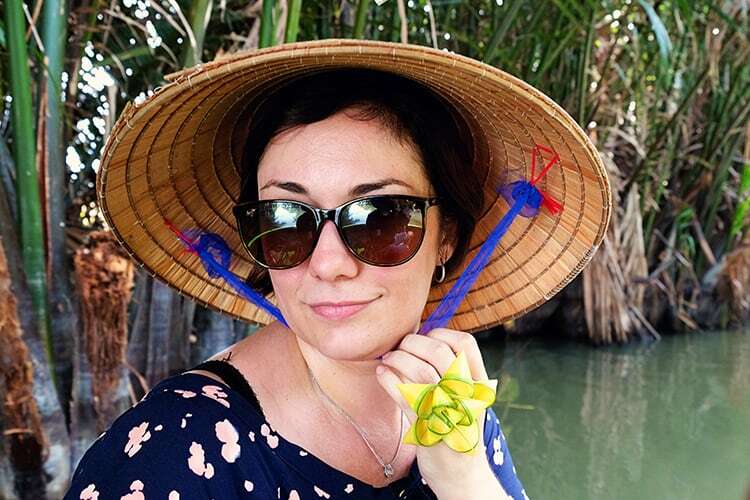 What to Take on a Hoi An Boat Tour? Hoi An is a very hot place, regardless of what time of the day or a year you are there, make sure to take some essentials with you. Cover up with a light long sleeve if possible, apply some sunscreen, take a hat or an umbrella, sunglasses and a water bottle. Of course, do not forget the camera! 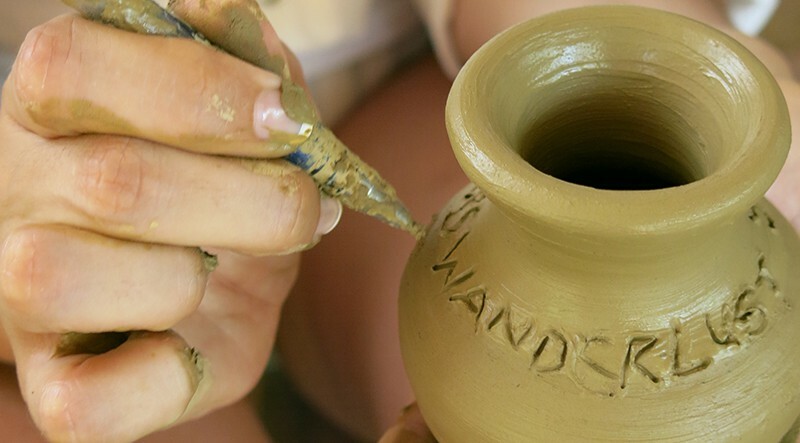 We love going on cultural experiences and as we booked the tour, we were fully expecting just that. Although it was fun to be in the boat, the initial excitement depleted quickly. The canals were dirty and there was plenty of rubbish floating past us as we moved along. The “disco tour” and its' fake tourist attraction thrown out any cultural aspect of the tour. Once we joined with the big group, it was crowded and not private at all! 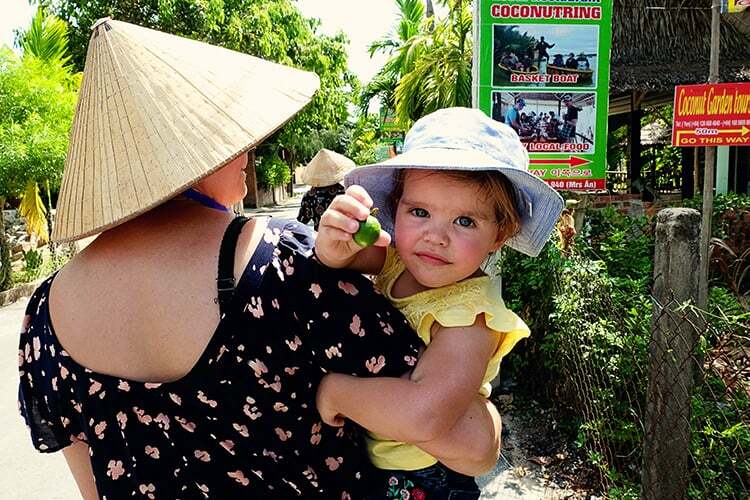 There are two ways to organize your Hoi An basket tour. 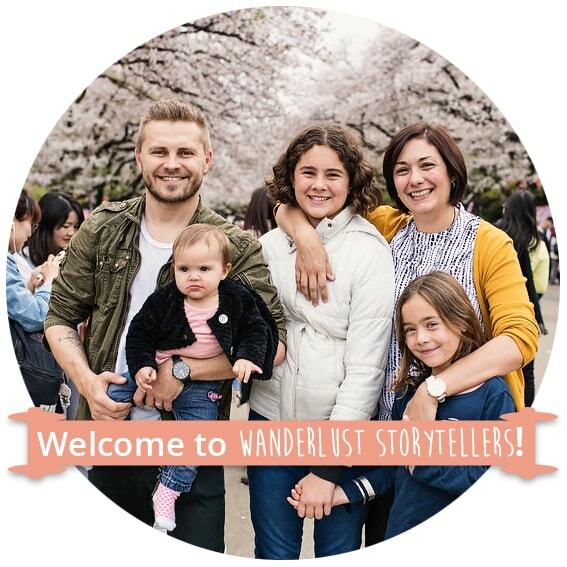 The easiest way is to simply organize it with your hotel and get the “door-to-door” service, or alternatively (like us), hire a scooter and make your way to the tour yourself. 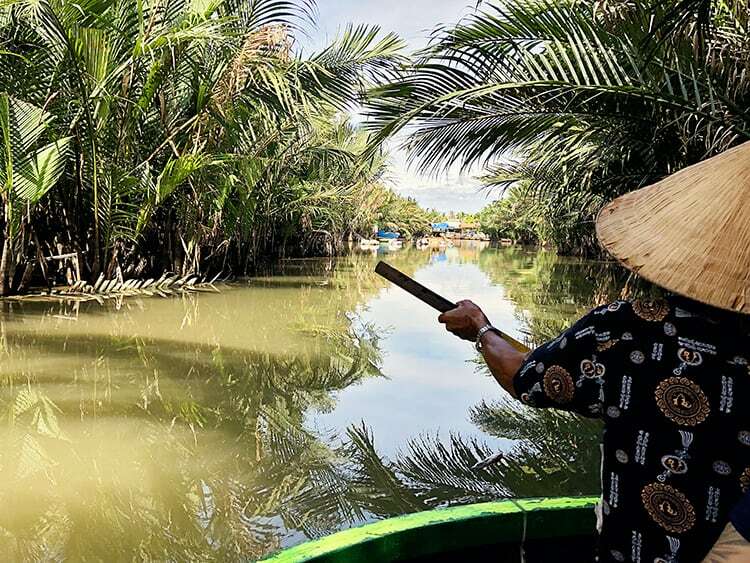 Should you like to be more prepared, here is an option of a Hoi An Basket Boat Tour through one of our favorite companies. Please note that this is not the tour that we went on, and the prices are different. However, if you do end up going that way, this is the most similar tour option to ours. Personally, I loved the fact that we went on the tour and that we had this experience anyways. I did expect it to be a bit more of a private tour and I thought that it would be more of a cultural experience for us. So we were disappointed by the whole spectacle of disco music and performances. Saying that the owners of our tour were very friendly and very welcoming. The “captain” of our basket boat was friendly, polite and provided us with small entertainment in a shape of coconut leaves souvenirs to take home. Whilst I'm glad we went on this tour, it is important to know what to expect – otherwise, you will be disappointed! If there was a star rating, I would be giving it a 3- Star rating. The Enchanting town of Lanterns that will Capture your Hearts! Hi Guys, love reading all your blogs it helps us with our plans of what to see and what not to perhaps see when we go in April. 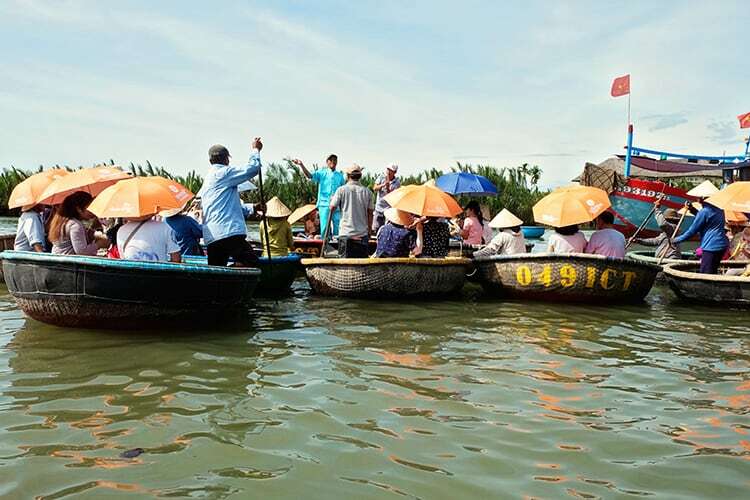 I have just read your article regarding the Basket Boat Tour in Hoi An. Not sure if we will do this tour or not, we will perhaps decide when we are there. My question is where can we find this tour to book it? I have looked online and can’t find anything. Will we find it on the Web or is there a shop we have to go to to book the Phap Tran Boat Tour? THanks in advance for your help. Also you can contact her whatsapp: +84 983275297 . Good basket boat tour with cheap price.